We designed a powerful media logger as part of the BLAM (Blue Lucy Asset Manager), which is now in development, for release as part of the new version. 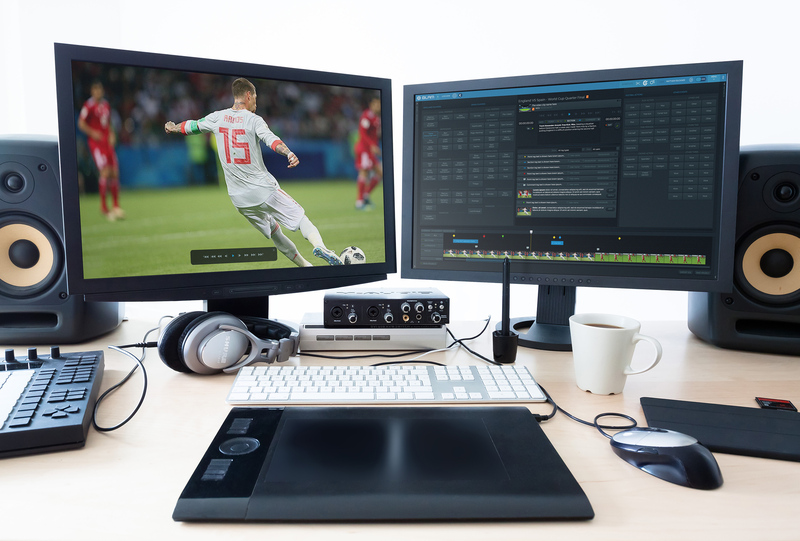 The interface and functionality are highly flexible, allowing it to be used for adding various kinds of temporal information to video assets. 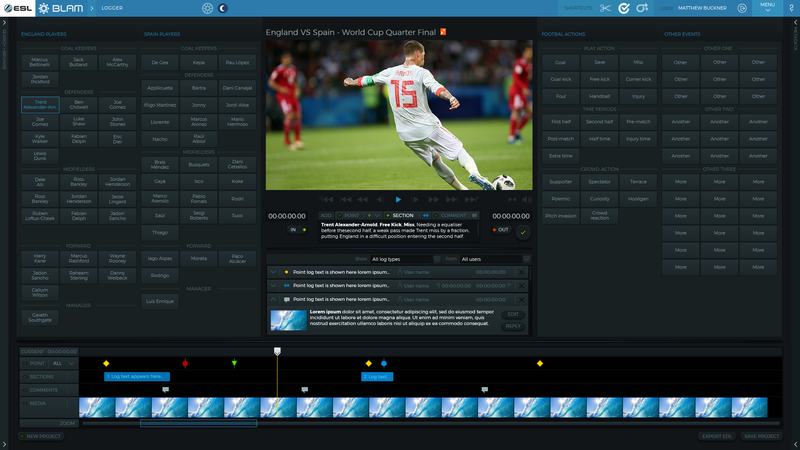 The UI works in single or dual monitor mode, allowing full HD video to be viewed on one monitor, while the second monitor contains the timeline and logging controls. Sets of detailed shortcut buttons can be configured in BLAM, to allow for speedy logging of any sport for example. The timeline also has a track for user comments, which enables a chat-like conversation between different users to be built around a particular asset, for reviewing purposes. Finally, the output can be saved & shared, or an EDL exported for direct use in video editor software.